Arista Nashville superstar Brad Paisley will give fans a sneak peek at the video for his new single, “Country Nation,” in a segment on NBC’s Today show on Thursday, September 3. Fans can see the piece in the 8 AM half-hour (all time zones), at which time the full-length video will be viewable on Today.com. 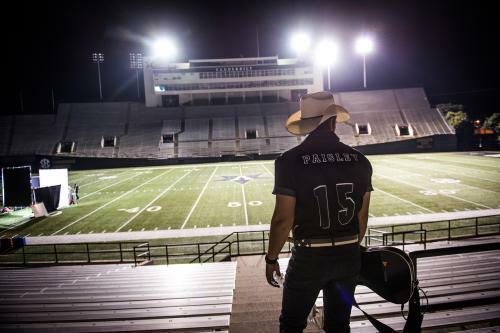 The song’s celebration of the blue-collar spirit and our nation’s love for sports colorfully come to life in the video directed by Jeff Venable and produced by Trent Hardville for Revolution Pictures. One day following the video premiere, Paisley will be in New York to headline Today’s final Summer Concert Series of the season, this Friday, September 4.